What is a tattoo? A nice ink on any body part. People choose the design, find a master and let him use ugly needles to cover their bodies with fancy pictures. 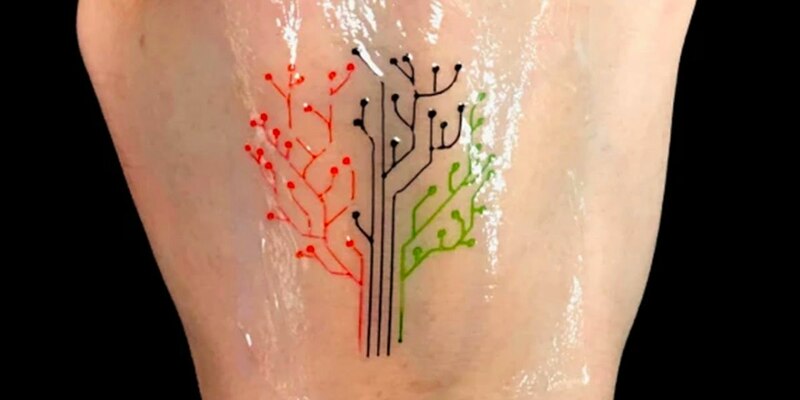 With years, colors get less bright and tattoo owners rush to fix it again. Such body decorations became extremely popular recently, so no wonder scientists decided to grab this concept in order to save lives. How? This technology is amazing. A team of engineers at MIT university has developed a new 3D printing technique by genetically modifying cells to create a “living tattoo” that can respond to a variety of stimuli. What does it mean? These tats react to any dangerous elements that surround the tattoo owner. 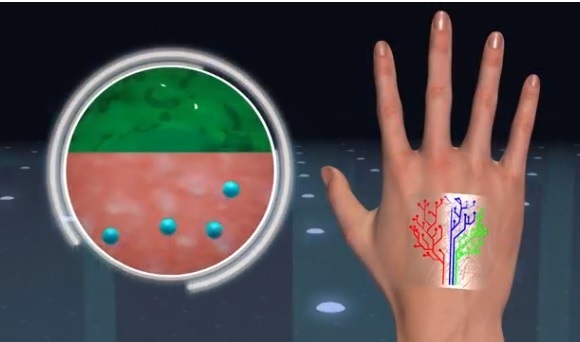 Such temporary “tattoos” are made of genetically programmed living cells. Their prototype looks like a stick-on patch with a pattern in the shape of a tree. 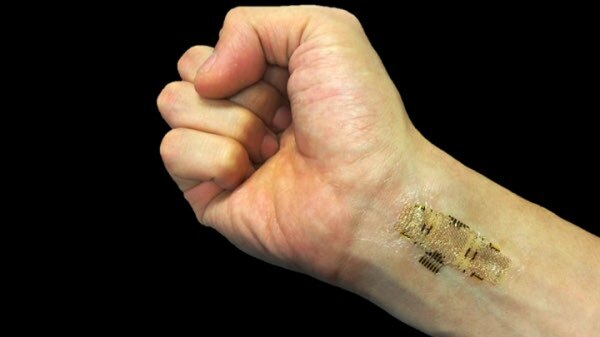 The temporary tattoos can twist and stretch with the natural movements of the body, and could one day allow for wearables that sense potential hazards. Why bacteria? Researchers say they have tried cells of mammals are too weak for this technology. 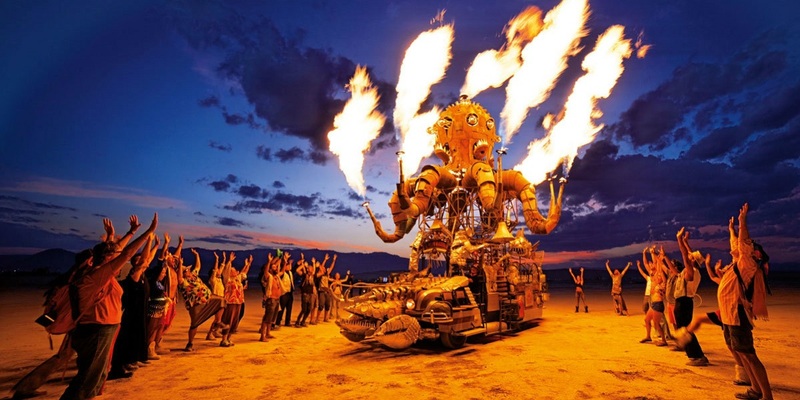 They can’t survive the harsh conditions of 3D-printing, such as the sheer force during extrusion and the UV exposure during crosslinking, a common method of curing 3D-printed materials. But bacteria from the best material that is not afraid of any pressures and can be easily applied on the skin. Using bacterial cells that had been genetically programmed to fluoresce in response to various chemicals, the team developed an ink made of hydrogel, the cells, and a mix of nutrients to keep the cells alive. 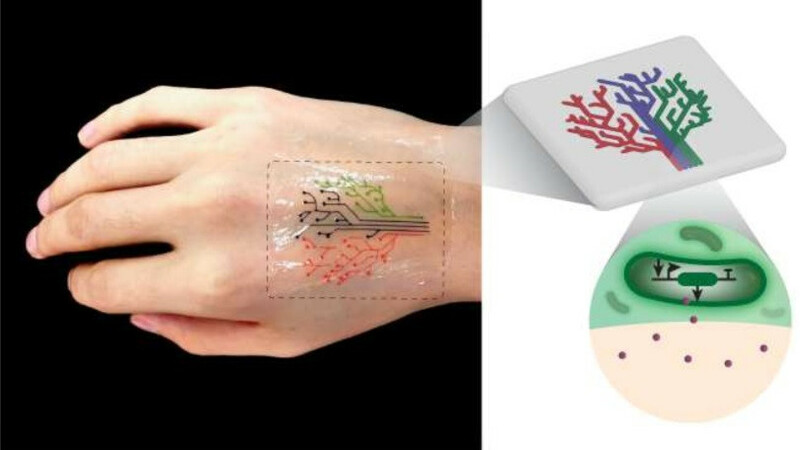 The team has then demonstrated its technique by printing a “living tattoo” — a thin, transparent patch patterned with live bacteria cells in the shape of a tree. Each branch of the tree is lined with cells sensitive to a different chemical or molecular compound. 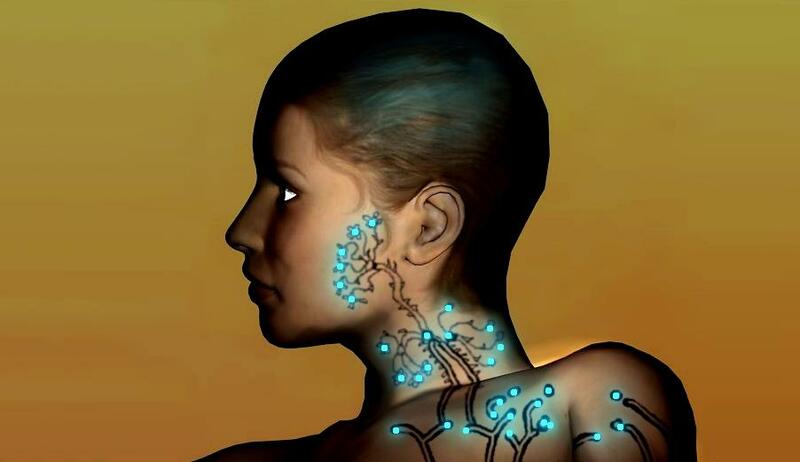 When the patch has adhered to skin that has been exposed to the same compounds, corresponding regions of the tree light up in response. So, literary such tats signalize us about the danger we cannot see. Parts of the tree are able to change their color responding to different elements each. Some branches can be programmed to respond only after a signal of the others. Scientists explain that this trick helps differentiate between combinations of elements. Some might be dangerous, the others bring no harm although they both are based on one matter. The defining danger is fantastic with such an easy method. But that is not the end. Moreover, it is just the beginning. They could even be used in medical applications as well, to slowly administer drugs or compounds, such as glucose, over time. Just imagine how cool that might be! A single tattoo takes care of your health signalizing about any change in your body and even reminding you to take the medicine whenever the time comes. Such system might change the way we treat our bodies and reduce stress caused by the fear of falling ill with some dangerous disease or being poisoned. 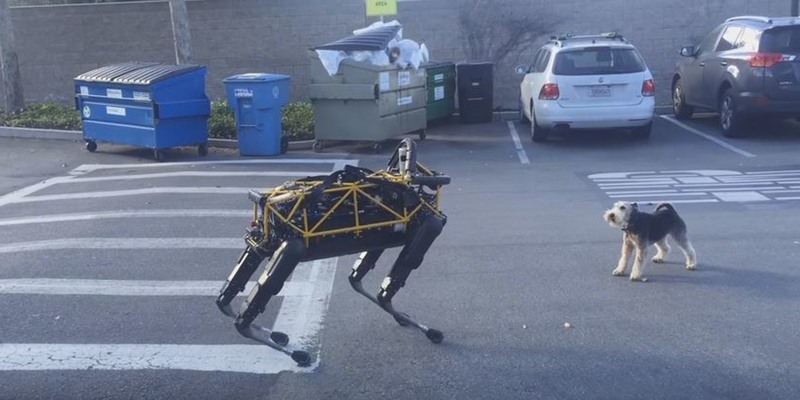 High tech toys are not new, but these cute pets deserve special attention due to their awesome functions and unique design. Love watching magicians who can make anything disappear, smash girls in tiny boxes or cut them apart? Arousing a woman is a real challenge a man can accept!